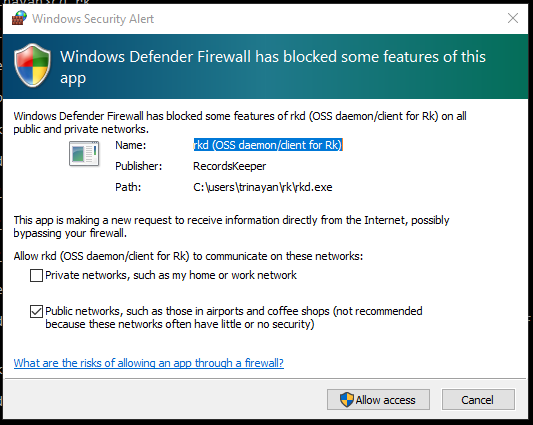 Download the executables from here and then unzip the folder and you will have the binary files: rkd.exe, rkd-cold.exe, rk-cli.exe and rk-util.exe. 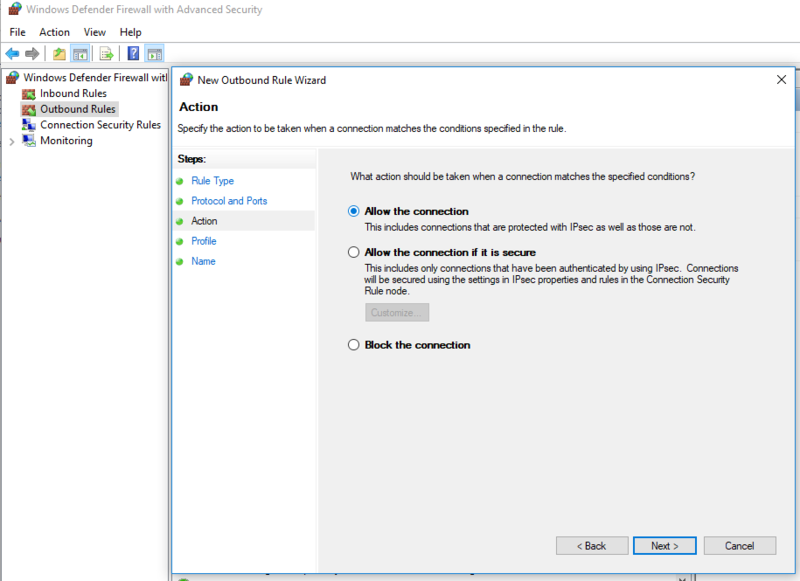 Windows users move directly to the connecting-rk section. The RecordsKeeper Testnet blockchain is avaialble for users to develop and deploy applications on the RecordsKeeper blockchain. XRK Testnet tokens do not hold any value and are only available for testing. You can earn XRK tokens from RecordsKeeper Mainnet mining. 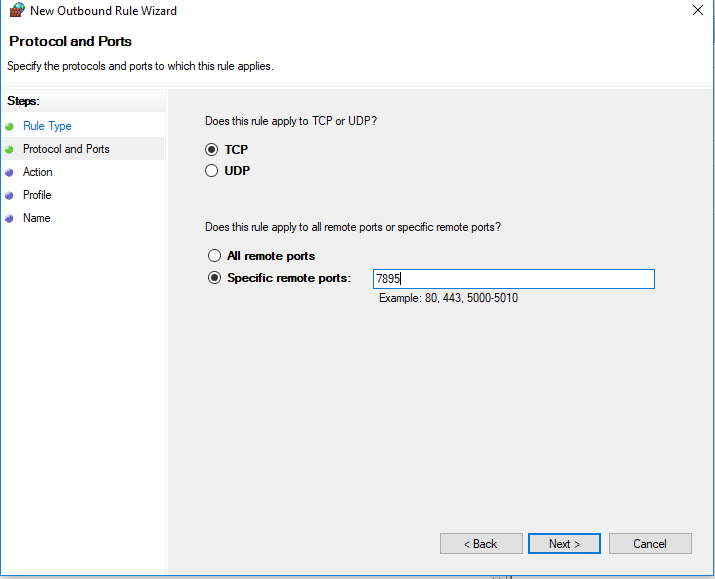 If you want another RecordsKeeper node to connect to your node then you have to allow connections by making Inbound rules for the same. 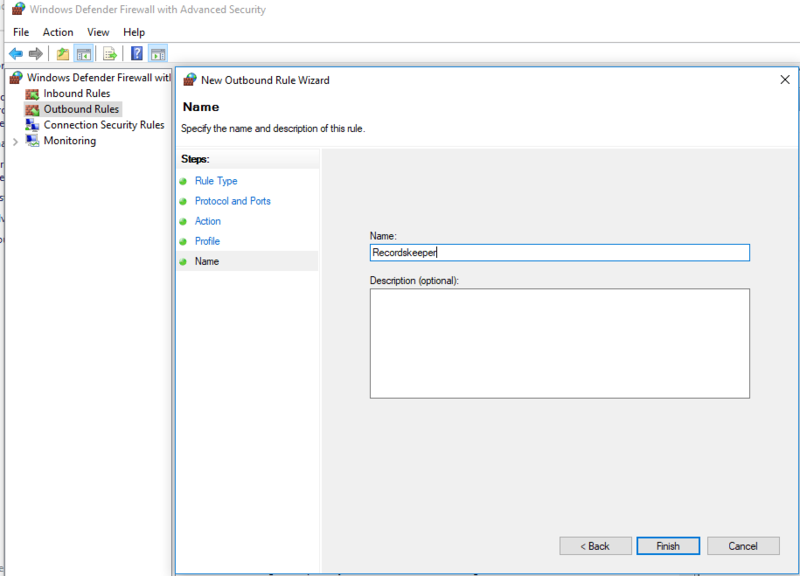 Follow the same procedure after selecting a new Inbound rule. 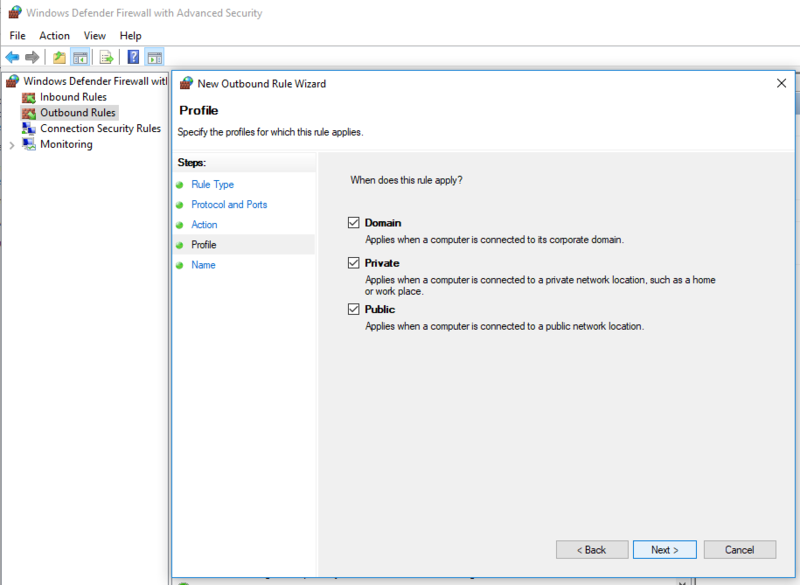 Windows users now can go to the mining-permissions section. Windows users have to open a new command line terminal window for running the remaining commands. Submit the following to receive Mining Permissions for RecordsKeeper Mainnet. Copy the above generated address and send it to us here . Only after the RecordsKeeper team grants mining permissions to your node address will you be able to mine XRK tokens into your default address. Please store this private key safely. Losing it will result in the loss of XRK tokens. Your node will sync with the best block, and then only your node can start mining and your balance will get updated with the mined XRK tokens. 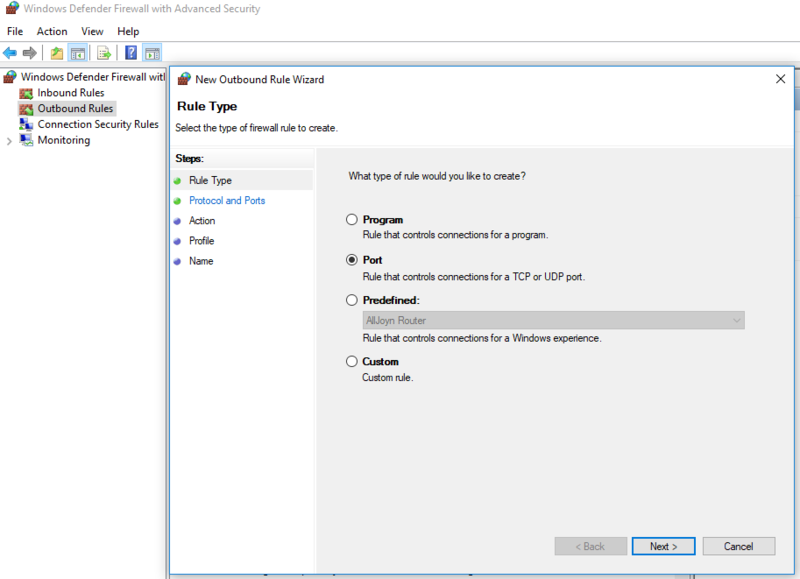 Please check the IP address and port properly to connect to the RecordsKeeper blockchain. 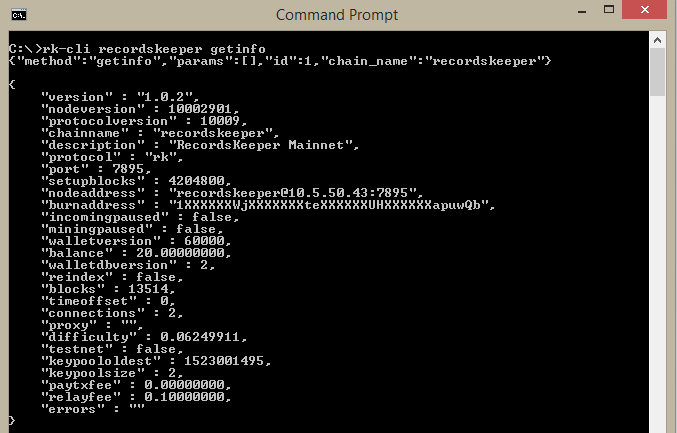 Once the permissions for RecordsKeeper Mainnet have been granted, you can directly connect to the RecordsKeeper chain and see your mining progress. 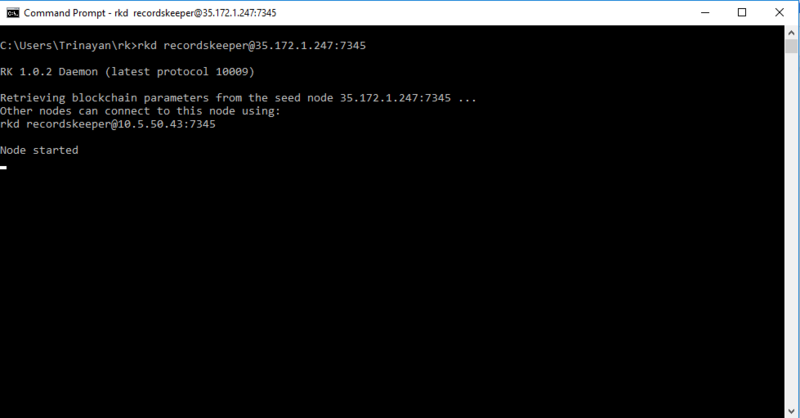 You can run the following commands to connect to the RecordsKeeper blockchain and view the mining address. 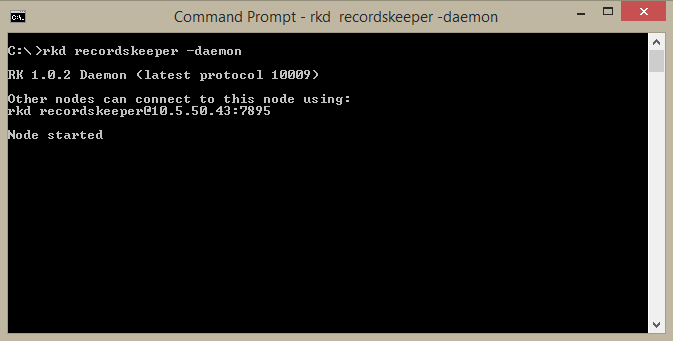 You can run the getinfo command or getaddressbalances command to see the balance in your node or the node address. You can view your balances in the balance output of the getinfo command. Please do not use the address specified above. This address is only available for the demo purpose.